This demo surveillance video illustrates the difference between a 1080P AHD security camera and a standard Analog CCTV camera. Here is a comparison of high definition video surveillance recorded with a 1080p HD security camera versus standard definition video recorded with an analog CCTV camera. For best results, view this video from a desktop web browser and adjust the YouTube player to 1080p resolution. This first video was captured with the 1080p security camera. This is actually an analog high definition type camera, which is also known as AHD CCTV. Here is a still image that I captured from that video segment. Notice that when I zoom in on the 1080p image, my face is still clear. Now let's take a look at the analog CCTV camera video. This is 960 x 40 resolution, also known as 960H resolution. This is how it looks when viewed full screen on a 1080p monitor. Here is a still image that I captured from the CCTV camera. I zoom it to my face just as I did with the 1080p image and notice the difference in clarity. Here is the zoomed in 1080p image again, here is a side by side comparison of the two. 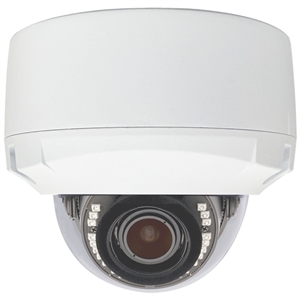 HD over coax cable type security cameras have become extremely popular. They cost only slightly more than analog CCTV cameras, however the resolution is drastically better. 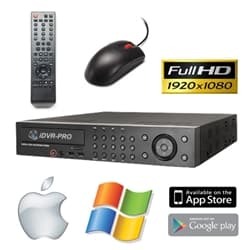 To learn more about 1080p security cameras, please visit www.cctvcamerapros.com/1080p. Thank you for watching. 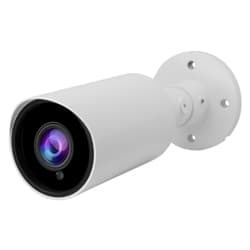 Click here to learn more about the AHD-AD24H 1080P Security Camera used in this video. Click here to learn more about the iDVR-PRO16M HD CCTV Camera System used in this video.